When reports emerged earlier this year that the RAF was sending 100 pilots to be trained at a private flying academy, questions began to be asked about whether the service was getting value for money from its current aircrew training pipeline. 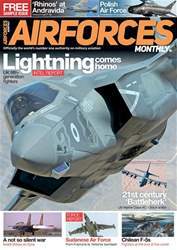 In the latest issue of AFM, Tim Ripley assesses the status of the UK’s Military Flying Training Service project. 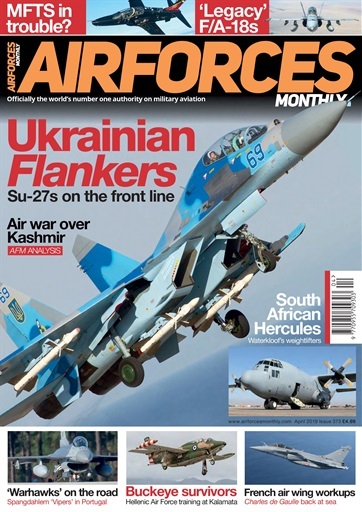 Cover star of the April issue is the ever-impressive Ukrainian Air Force Su-27. At one time, Ukraine operated the second-largest Flanker fleet in the world. 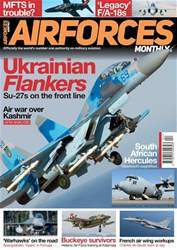 Vladimir Trendafilovski looks at the career of the super-manoeuvrable fighter that remains the backbone of the country’s air defences. Another Cold War fighter type still going strong is the ‘legacy’ Hornet. Though a number of air arms are in the process of phasing out their first-generation Hornets, others are aiming to keep these ageing aircraft in service for some years to come. In the first of a two-part feature, Jon Lake looks at the US side of the ‘legacy’ story. On the exercise front, we bring coverage from the 480th Fighter Squadron’s deployment from Spangdahlem Air Base in Germany to sunny Portugal for three weeks this winter. Meanwhile, Ian Harding and Kevin Wills report from Exercise Merlin Storm, the final test for new pilots and aircrew assigned to the UK’s Commando Helicopter Force. 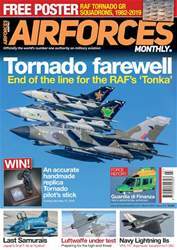 AFM continues its popular Tornado Tales series by speaking to two of the final navigators to fly the ‘Tonka’ and you’ll find in-depth features on topics as diverse as the South African Air Force’s C-130 Hercules transports, the Hellenic Air Force’s Air Training Wing that employs T-2 Buckeyes and T-6 Texan IIs at Kalamata, and the Spanish Air Force’s firefighting campaign in the Balearic Islands – using a single CL-215T. 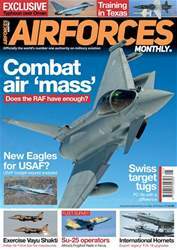 As usual, you’ll also find all the latest coverage of attrition and military aviation news from around the world.